NOMA visitors can experience firsthand the process involved in creating a tintype photograph at a free workshop led by Timothy Duffy, a renowned contemporary master of this antiquated camera medium. A free workshop will be held on Saturday, January 19, from 1 to 3 pm. Tintype, also known as a melainotype or ferrotype, is a photograph made by creating a direct positive on a thin sheet of metal coated with a dark lacquer or enamel and used as the support for the emulsion. Tintypes enjoyed their widest use during the 1860s and 1870s, but lesser use of the medium persisted into the early twentieth century and it has been revived as a fine art form in the twenty-first. 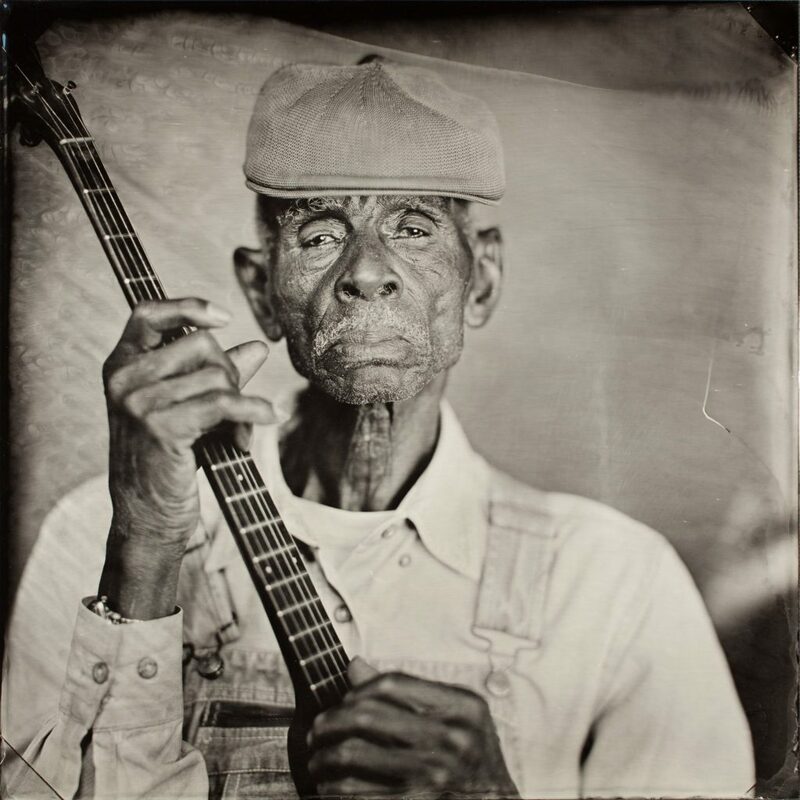 For nearly twenty years, Duffy has used tintype photography as a means of portraiture for American roots musicians, many of which will go on display at NOMA beginning in April with the exhibition Tim Duffy: Blue Muse. 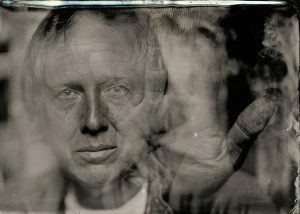 Duffy spoke to NOMA Magazine about his introduction to the medium and how tintypes lend themselves to his artistic pursuits. How did you get introduced to the tintype as an art form? 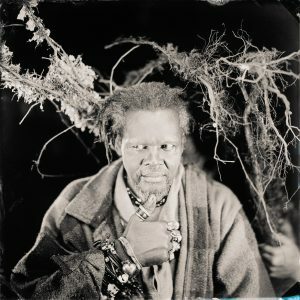 I was first introduced to tintype through via an ART21 documentary, Art in the 21st Century, that aired in 2001 on art photographer Sally Mann’s work with the process. This was the first time I really remember seeing the process. Many years later I was traveling through Alabama and met photographer Wendell Decker. He was an early revivalist of tintype, probably one of a handful of people that had real working knowledge of the process. That was the first time I saw someone do tintype in person and the process intrigued me. Wendell told me about a book, The Doers Guide to Wet-plate Photography, by John Coffer. I had worked with large format photography for many years and with this manual I started to learn the process. Is making a tintype a complicated process? The process is very complicated and sensitive but it’s like baking cookies—once you’ve mastered it the process becomes easier. John Coffer’s book makes it very clear and simple. Tintype requires the mind, body, and spirit to be completely aligned and in sync with pure concentration to effectively create. From start to finish, it is intense: setting up the camera, getting the chemicals ready, and composing the image—the process can take an hour to make a single photograph. The time involved makes the work much more intentional and culminates into a magical spontaneous moment when the photograph is actually taken. 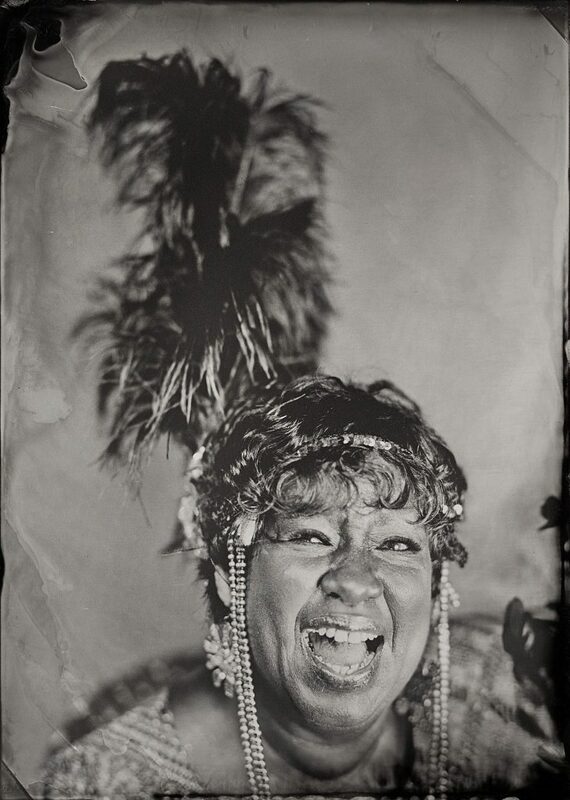 What is it about a tintype that pairs well with your subject matter? 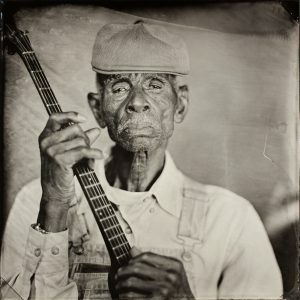 The music of the American South is timeless. Take a tintype from 150 years ago and it will look just like it did when the photo was taken, making the process timeless in itself. And through this timelessness, tintype provides the perfect medium to celebrate and honor these American musicians in perpetuity.